More than a profession or a repertoire of built artifacts, architecture is a dynamic cultural practice that manifests at different scales and through various media: buildings and cities, but also art, performance, film, landscape and new technologies. It permeates fundamental registers of everyday life—from housing to education, from environmental awareness to economic growth, from local communities to global networks. The biennial's first commission was announced Wednesday by co-directors Joseph Grima—a former curator of the Storefront for Art and Architecture, and director of the Ideas City platform of the New Museum—and Sarah Herda, director of the Graham Foundation and AN editorial advisor. 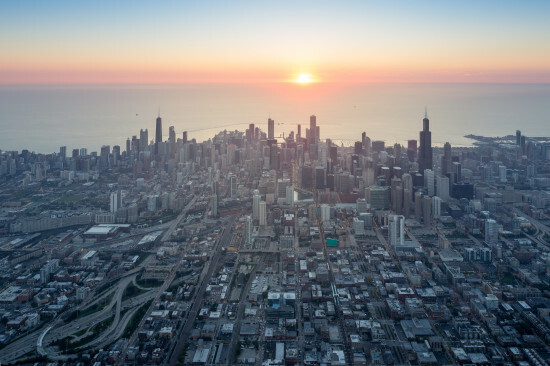 Renowned photographer Iwan Baan will contribute an original photo essay about Chicago featuring aerial shots taken at sunrise. 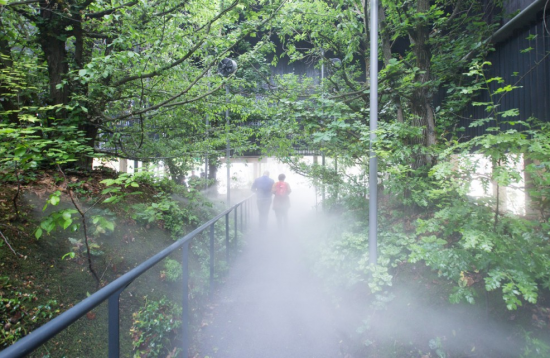 The work will “capture the city during a moment of its daily routine,” according to the press release. “Like the Biennial itself, Baan’s expansive photographs interpret Chicago as a realm of architectural possibility, past and future.” The free festival's home base will be the Chicago Cultural Center, but organizers say it won't be restricted to downtown. “Using the city as a canvas, installations will be created in Millennium Park and other Chicago neighborhoods, including new projects and public programs developed by renowned artist Theaster Gates on Chicago’s south side,” reads a press release. “The Biennial will also feature collateral exhibitions and events with partner institutions throughout the city, and will offer educational programming for local and international students.” Tigerman, whose 1977 exhibition is the inspiration for the 2015 show's title, sits on the biennial's International Advisory Committee, which also includes architects David Adjaye, Elizabeth Diller, Jeanne Gang, and Frank Gehry, along with critic Sylvia Lavin, Lord Peter Palumbo and Hans Ulrich Obrist. Ty Tabing, former executive director of the Chicago Loop Alliance and founder of Singapore River One, will serve as the biennial's executive director. Oil giant BP has agreed to donate $2.5 million for the show, but Mayor Emanuel is reportedly seeking $1.5 million more.